We have made some updates to the Pyrexar Medical website, both in style and performance. Our goal is to promote hyperthermia as a premier adjunct cancer treatment, and to make valuable clinical data and product information readily available. We hope you will take a moment and explore the website. Your feedback is important and appreciated. We will be exhibiting at this year's ASTRO in San Antonio October 21-23. If you are planning to attend, please stop by booth #1942 and see some of our new products for 2019 on display. Hyperthermia is reemerging on to the cancer treatment stage. There is growing acceptance of hyperthermia's role as a radiosensitizer, its effectiveness when used with chemotherapy, and maybe its most important role, in immunomodulation. Pyrexar Medical receives requests to introduce our hyperthermia systems into new countries every month. In 2015, we were selling in 9 countries, three years later the count has grown to well over 36 countries. But the road is long from introduction to sale and is often drawn-out with regulatory filings, physician education, toward eventual acceptance. 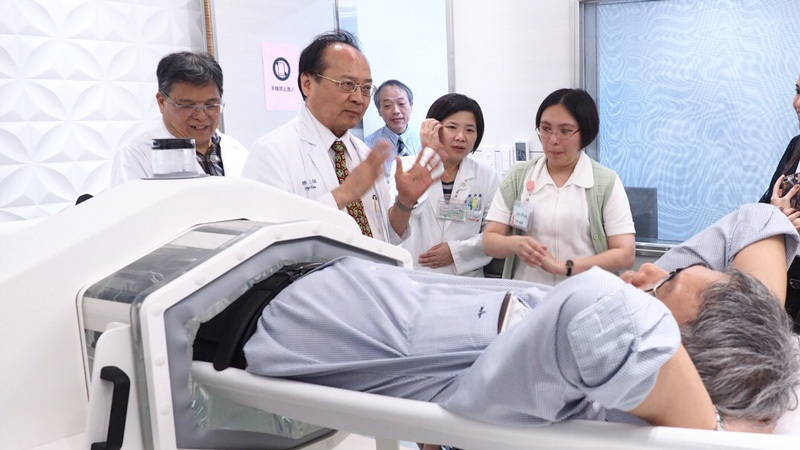 That is why we are so thankful for physicians like Dr. Gi-Ming Lai, Director of the Wan Fang Cancer Center, and his team at the Taipei Municipal Wan Fang Hospital, part of the Taipei Medical University in Taiwan. The clinical data for hyperthermia, and specifically the BSD-2000 Deep Regional Hyperthermia system, is very impressive. But potential customers often want to see a device in a treatment environment to understand workflow and treatment planning. So when a new distributor from the region requested to visit a reference site, we reached out to our partner network and Linden Bioscience of Taiwan answered the call. "Wan Fang is a well respected center in Taiwan, and Dr. Lai's experience with hyperthermia is unparalleled in the region" says Tainang Huang, president of Linden Bioscience. "They have a well-outfitted radiation oncology department and a strong team in medical oncology under Dr. Lai's direction". Wan Fang was the first JCI accredited hospital in Taiwan. The 730 bed facility has more than 350 full-time physicians, and over 2000 additional staff members. Because it is affiliated with Taipei Medical University, many doctors in training from the university complete internships at Wan Fang. We believe with solid partnerships and a willingness to share knowledge, hyperthermia will continue to grow and serve cancer patients around the globe. ASTRO's 60th Annual Meeting is the premier radiation oncology scientific event in the world and draws more than 11,000 attendees each year. This years exhibits will be held October 21-23th at the at the Henry B. Gonzalez Convention Center in downtown San Antonio, Texas (USA). 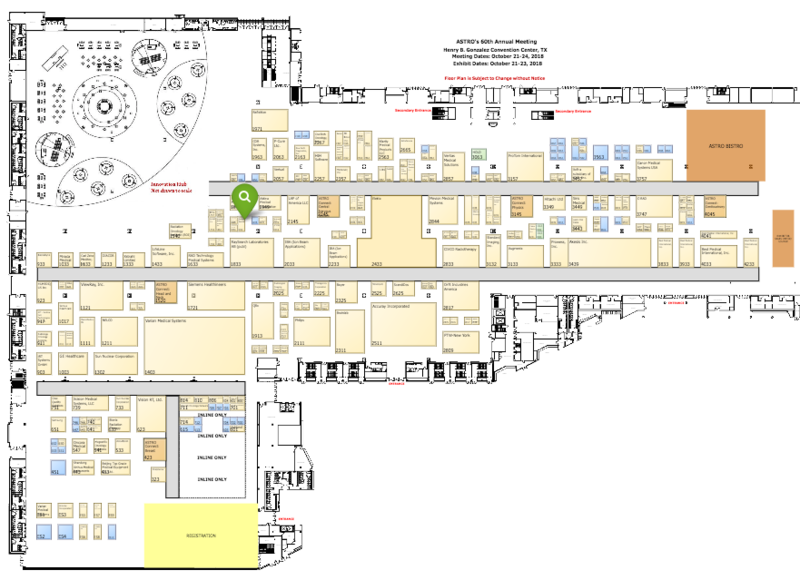 Look for us in booth #1942. We look forward to seeing you at the show. For more information visit the ASTRO website.